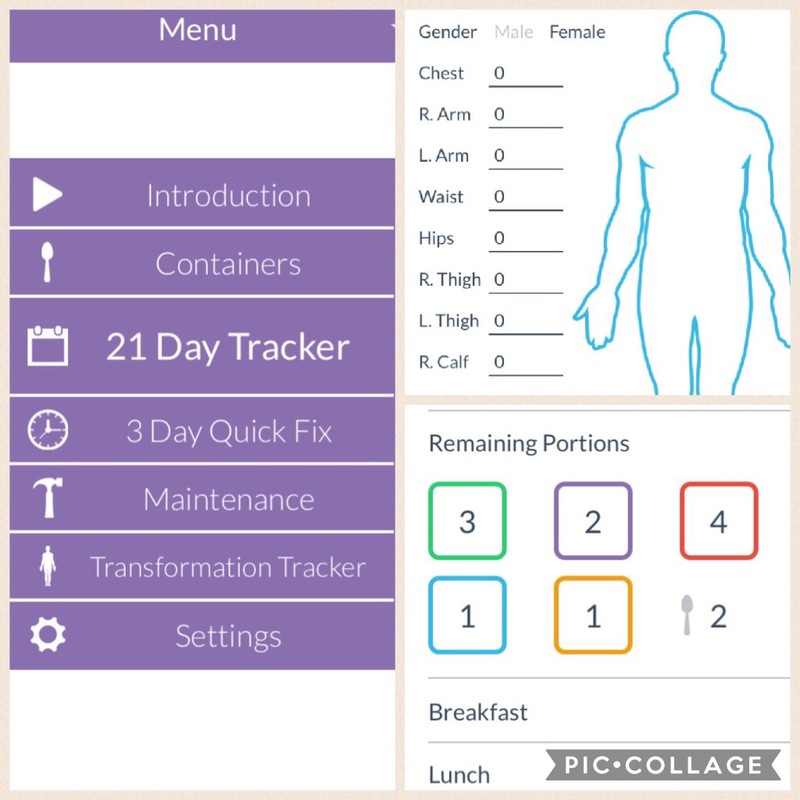 There’s apparently an app for the 21 Day Fix. This could make my life much easier. 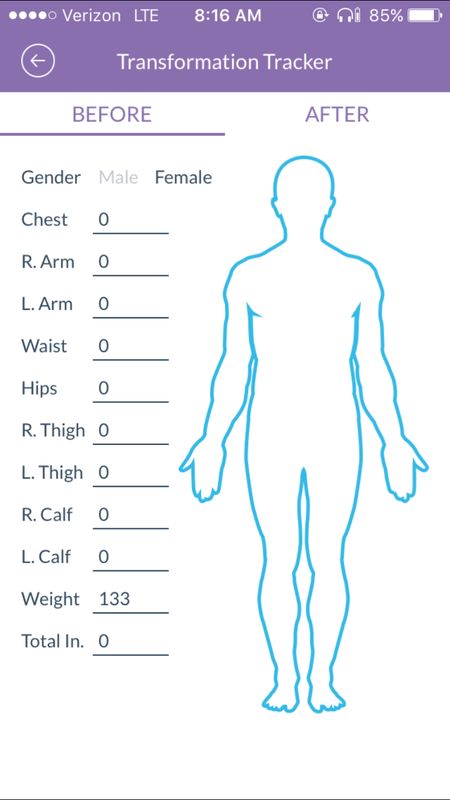 There’s a page to put all your measurements in, which is great to have on hand, so you don’t have to go digging for your paper. 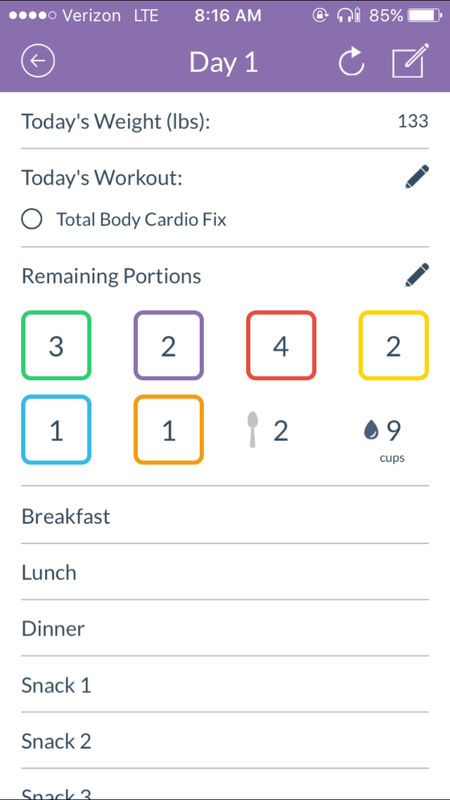 Each day has this tracker, so you can easily just check off as you go! Just click on “breakfast” and this pops up! Very cool. 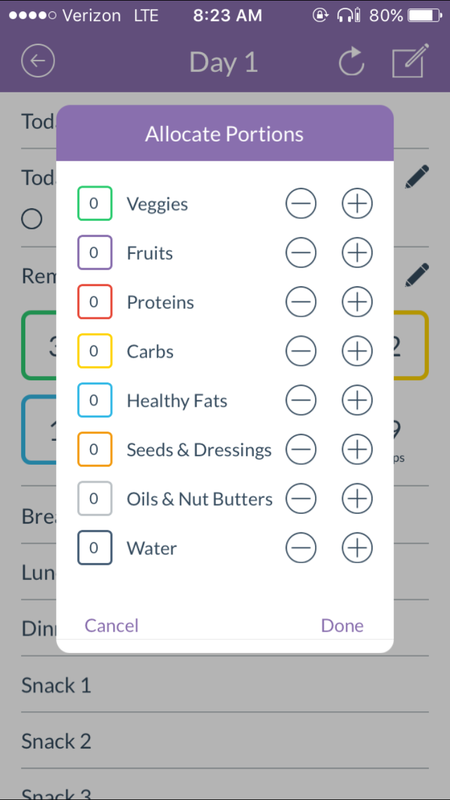 And in case you forgot what you can eat, it has all the foods right there in the app, listed by color! 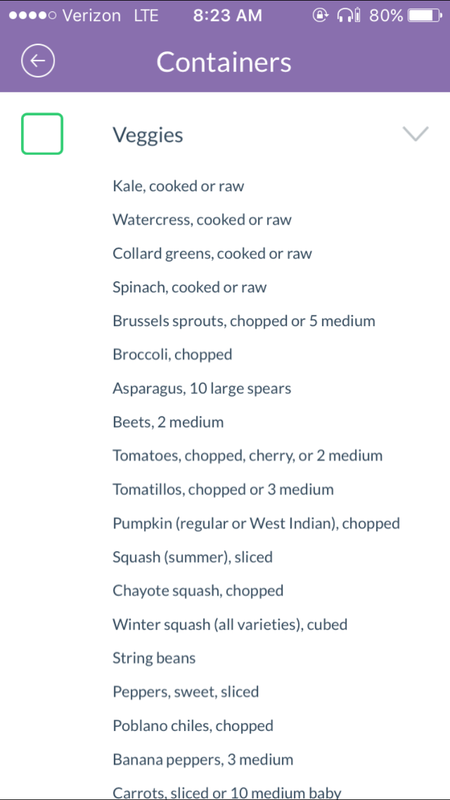 I think this could be very helpful, and I’m excited to use it- alongside my papers, of course. Something about physically writin everything out at first really helps me.